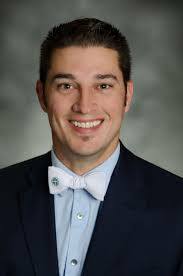 "Must Be Kept Away From the Children"
Normally a body of relative comity, the Emery Unified School Board has lately devolved into a place of ugly ad hominem Trumpist vitriol, member Cruz Vargas leading the charge. His political will thwarted by his colleagues, the City Council and the people of Emeryville, former Board President Vargas used his place at the dais to warn parents and citizens that their newly selected president, Barbara Inch, must be "kept away from the children". It seems a nadir for Emeryville's last authoritarian political soap box orator, the ostracized and dispossessed board member who sanctimoniously and without a sense of irony, rejects the title 'politician'. He's here not to play politics he says, rather he's here for the children. Board member Vargas has become a curiosity. Among the authoritarian right wing in Emeryville, formerly a syndicate establishment that for decades ran this town, he's the only one of them left standing from what was the entire elected political class. But following a righteous two year democratic purge at the hands of Emeryville voters, there's now a near total loss of authority for Emeryville's right wing. It's been a slow motion train wreak that leaves only the impolitic and obstinate Emery School Board member Cruz Vargas standing athwart the rubble of the once mighty right wing power elite. Mr Vargas has faced a recriminatory and humiliating onslaught from all comers as of late. But it hasn't been without merit. This year he was stripped of his Board presidency by a unanimous vote of his colleagues in an epic take down over unnamed behind the scenes transgressions, called out publicly for his lies by the City Council and then in November, Emeryville's voters denied Cruz a sympathetic Board majority he would have needed to build an army of followers to beat back the progressive tide. Rather than graciously giving way to the will of the voters, an embittered Cruz Vargas is instead howling against the democratic wave that swept the last of his kind away, now telling anyone who will listen that Emery's new School Board president and architect of his demise (at least as he sees it), must be stopped. It's for the sake of the children he says. Literally....Board member Vargas announced at the December 12th Board meeting when the new officers were being selected by the Board, positions taken by all members except for him, his new job on the Board is to keep the chosen School Board president, Barbara Inch, away from children. "For two years I've fought to ensure that we keep politics and politicians away from our children. Barbara Inch has shown where politics trumps progress." he said. It's been two years filled with political drama with Cruz Vargas on the School Board, his authoritarian philosophy of education serving as his guide. An early supporter of and apologist for former Superintendent John Rubio, Cruz moved to protect the alpha-male schools chief as he drove an authoritarian campaign of disruption leading to the worst teacher retention problem in the Bay Area. Nine departing teachers inveighed against the Superintendent's bullying and racist tactics at a School Board meeting prompting member Vargas to lead a drive to scrub their outgoing speeches from the official record in retaliation. 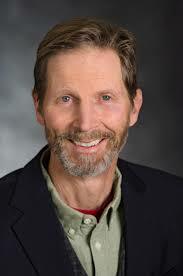 Dissenting School Board member Inch was the sole vote to allow the teacher's comments to be part of the record as reflected in the official minutes. Later, as Board President, Mr Vargas led a drive to stop the Board from endorsing Measure C, Emeryville's $50 million affordable housing bond because the School Board has no interest in helping families move to the District, he said. Dissenting Board member Inch cast a dissenting vote stating that Emery Unified School District in fact does have interest in having families with children afford to live here. Seventy two percent of Emeryville voters agreed with Ms Inch. Most prominent over the years was Cruz's failed bid to get the taxpayers to pay for a full time sworn police officer to patrol the school campus; the infamous Emery School Resource Officer (SRO) debacle. After the idea was forcefully shot down by the entire City Council as a sociopathic exercise in service of the right wing's greater 'school to prison pipeline' syllabus, President Vargas swore a quixotic oath to go around the Council. Using an emotional pleas to parents, Cruz engaged in a pious go it alone political gambit that came up empty handed. Countering President Vargas, Mayor John Bauters made a legendary speech calling for evidence-based policy on the SRO issue and to be cautious of politicians using demagoguery in its service. The downward spiral of the delusional former Board President Vargas is quite a spectacle to behold and his displays of abject hypocrisy would make for some pretty entertaining viewing were it not for the disturbing complete unmooring from reality. In his failed attempt to derail the vote to make Barbara Inch Board President, she the most popular candidate ever elected to the Emery School Board, Cruz Vargas told the audience at the December meeting (again lacking a sense of irony), "Not every Board member should be president." The guileless former president Vargas added, "It requires a special level of leadership, presence, demeanor, social skills and composure." Those being words his Board colleagues believe....and acted upon, when they stripped him of his Board presidency. EUSD December 12 2018 FULL Board Meeting from Emery Unified School District on Vimeo. 21:12 - 21:50 Cruz tells his Board colleagues they must protect the children from Barbara Inch. It's not often the Tattler mentions a job well done by Emeryville's politicians- as far the elected's work performance goes, usually no news is good news. But we're going to make an exception in the case of Mayor John Bauters. An elected public official who knows the proper role of government mixed with extraordinary political competence has made for that rarest alignment of political stars: a democratic government that reflects with fidelity the desires of the citizenry. As he rotates back to the City Council sidelines, Councilwoman Ally Medina now taking the role of mayor for the next year, we pause to look back at a year in Emeryville with Mayor Bauters in charge. Mr Bauters sees a central role of government as attenuating the growing rift of inequality in our riven society. And the most important things he accomplished as mayor were designed with that in mind; things like the introduction and shepherding of Emeryville's landmark $50 million affordable housing bond known as Measure C and the daunting but critically needed work of ameliorating homelessness in our community (please see the video below). In addition, Mr Bauters made community values affirmation central to the bi-monthly assemblies of the citizens, the gripefests also known as City Council meetings, in the form of uplifting 'Community Celebrations'. These celebratory acknowledgments of the civically virtuous in our town, be they the best of the LGBT community, the African American community, girls in the community or simple citizens officially highlighted before each Council meeting for whom community means a selflessness in giving back, have served to offer to us all realization in the proper role of government. City Hall, Mr Bauters reminds us, is not here just to fix potholes but to help bind us together into a cohesive community. Further, Mayor Bauters has kept his focus on budgetary concerns like the payment of an additional $4 million towards liabilities on his watch, saving the taxpayers some $11 million in interest. He has also reached out to small businesses with a listening series of well attended quarterly town hall events meant to mollify their concerns. As with any politician of consequence, Mayor Bauters took his share of knocks from the critics for his bold moves on behalf of the community. He has taken on the label 'progressive' proudly and it has earned him the enmity of the right wing in Emeryville. The editor of the pro-business blog the E'Ville Eye, Rob Arias has practically made taking down John Bauters a personal crusade. One only needs to peruse the cesspool that is Mr Arias' Twitterfeed to get a taste of the villainization of Mr Bauters there. Rob Arias uses his blog and twitter account to promote disdain for homeless people and disdain for those who would help people trying to afford homes in Emeryville while taking on Emeryville's mayor and champion of those issues...that's something one would expect but over the last year, John has kept his focus on what matters. We remember an issue not related to public policy while we have watched Mr Arias' slimy spectacle; we remember how Mayor Bauters brought to Emeryville a brave young man from Kentucky. This young man, a recent valedictorian at his high school, had been refused to give the traditional valedictorian speech to the student body there because his hometown cannot countenance that he is gay and gender non-conforming. Mr Bauters cleared the way for that speech to be given...here in Emeryville at one of our Community Celebrations. We can't think of a better way to show who we are as a community. Our City Hall should be used in this kind of way, the way Mayor Bauters sees it, the way the greater Emeryville community sees it. Senior planning staff at City Hall revealed last week the retail component of the Sherwin Williams project mixed use residential development in Emeryville's Park Avenue neighborhood has no written protections that would keep storefronts from sitting perpetually empty despite the City Council expressly garnering a guarantee against that made in 2016. The Council also directed the staff to protect against the developer renting to chain stores, another condition of approval from November 1st, 2016 that was ignored by the staff and now impossible to enforce. Time has run out for Emeryville to ensure its retail plan at Sherwin Williams is brought forward; the developer cannot at this point be held to providing for non-formula retail at the site or providing against letting the stores sit empty as was established by unanimous Council vote. "There are no such protections for either condition" a staff member told the Tattler, "nothing is in writing". locally serving businesses to succeed." And so goes the Sherwin Williams project down the same path as virtually every other development with retail over the last 25 years; vague promises made by the developers to providing wonderful neighborhood serving non-formula stores in a timely manner, a paradigm that has spectacularly failed. City Councilman Scott Donahue summed it up best at the November 1st 2016 meeting, "It has been difficult for our city he said, The chains have more money, but we have a desire for retail expressed by our community, he added. The loss of a written retail agreement so adamantly expressed by the Council is especially egregious for the Sherwin Williams project, watched so closely as it has been by community activists including by the Park Avenue Resident Committee (PARC). Indeed, PARC's entire raison d'être is to make sure this kind of thing doesn't happen, specifically at Sherwin Williams. Emeryville residents would be excused thinking if we can't get a retail agreement that addresses these issues here, we likely can't get one anywhere. It's been a problem for years here. Many residential developers in town build associated retail as required by the City but they aren't interested in the commercial rental business and so because the City has never required them to fulfill their retail assurances in writing, the developers simply let the storefronts go empty. The retail component is chalked up as a cost of doing business by these developers. Other developers, seeking more traditional profit maximization, will rent their retail spaces out but at the highest rate the rental market will bear. That generally prices out the kind of retail the residents want, leaving only chain stores. Amid the exigency of this closed loop paradigm, Councilman Donahue hit upon a new idea to force the developer of Sherwin Williams to underwrite the retail by written agreement with the City, an expanded cost of doing business that actually would deliver, but he and his colleagues failed to follow through, trusting the staff to do as the Council directed. is the fear of the retail space going empty. She directed the staff to get it in writing. The idea that the developers themselves need to underwrite the cost of providing locally serving, non-formula retail has been kicking around in Emeryville for many years but the previous Council saw adding such constraints as anathema to the pro-developer coda engrained at City Hall. Responding to citizen complaints in 2003, a previous Council attempted to lure better retail instead with a taxpayer subsidy to businesses at the 'Promenade' development, albeit with mixed results. A coffee shop that received taxpayer subsidies at the San Pablo Avenue Promenade strip mall development promptly went out of business as did a small restaurant but Arizmendi Bakery, also the recipient of start-up help from City Hall has been a success. The current City Council has so far tried a different approach, attempting to lure the kind of retail the citizens want with a Byzantine system of 'bonus points', an approach that up until now hasn't met with success. With the failure of the Council to follow up on the staff's directive at Sherwin Williams, the new idea of forcing the developer to underwrite the locally serving retail is an idea that has still not been put into practice in Emeryville. A viewing of the short video (below) from the November 2016 meeting shows how stark is the recalcitrance of Emeryville's city staff. The two Council members whom had promised voters to deliver non-formula locally serving retail when they first sought election, Scott Donahue and Dianne Martinez, were adamant. Councilman Donahue told the staff the developer represented by Kevin Ma of Lenar Development they could lower the rent for the retail if he (Mr Ma) can't find "non-chain neighborhood serving" retail at the market rate and that the rent should go down until it is rented out to the desired tenant. "We can come up with something simple that they (Lenar) can agree to tonight that would solve this problem and make this a better community." Mr Donahue told the staff. "I'm all ears to cutting a deal tonight about this" he added. or to rent to Burger King. Councilwoman Martinez agreed and expressed concern that the retail storefronts not sit empty as so many others have done over the years in Emeryville, "Another thing we're hearing from the community is the fear of the retail space going empty. The landlord might prefer a write-off than lowering the rent" Ms Martinez said. The developer however expressed concern that the development process not be held up for anything, "The biggest problem tonight is from a timing standpoint." Mr Ma told the five Council members 'If we would make any amendments to requiring the regulating of the retail tonight, that really throws us off our timeline... We've gotten to a razor thin timeline with the current approval schedule". He assured the Council "We will work with the Planning Commission to bring these commitments..." to which Councilman Donahue responded, "I'm satisfied we can say 'no' to your project if you don't come back to us with something definitive in writing that will deliver just what we're talking about." And then the Emeryville City Council dropped the ball; they never checked on the staff about putting their directives in writing, leaving the citizens with nothing but the same assurances they've always gotten from developers over the last two decades about all the wonderful retail to be coming. The staff for their part, refused to comment on why they served the developer rather than the City Council they are paid to, "It is what it is" one staffer tersely told the Tattler last week after affirming that the Sherwin Williams developer could rent to any chain store they want to at their project or to not rent out the future retail spaces at all if that serves their pleasure. It's all up to the developer's whims now. 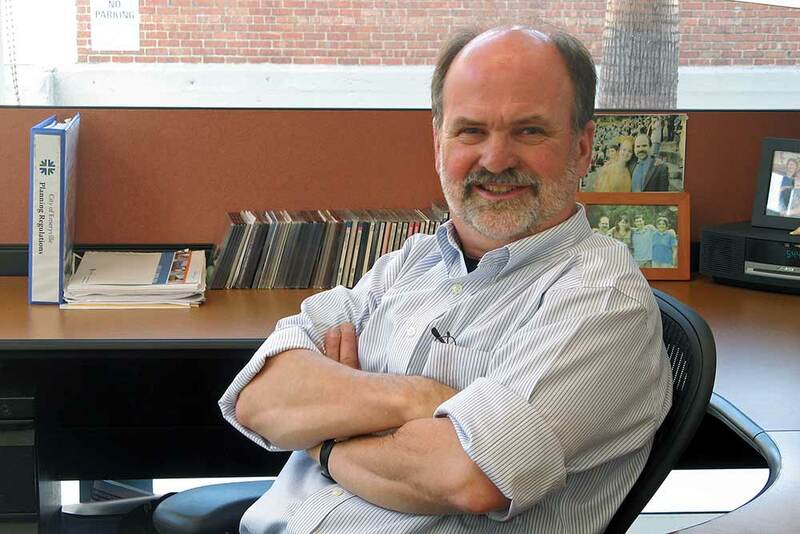 reveals the Emeryville staff to be recalcitrant. On December 6th, the Tattler erroneously reported that existing Emery School Board member Barbara Inch was endorsed by the resident advocacy group Residents United for a Livable Emeryville when she ran for that office in 2016. In fact Ms Inch was not endorsed by RULE at that time or since. 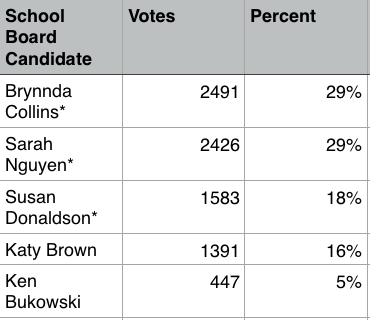 Officially that group did not weigh in on the 2016 Emery School Board election. After Board candidate Cruz Vargas refused to interview with RULE for their purposes of choosing candidates for endorsement, the group didn't request to meet Ms Inch and subsequently no candidate was picked for that office that year. After receiving tips that the December 6th Tattler story was inaccurate, we reached out to several RULE members who had memory that Ms Inch was endorsed but a checking of internal RULE documents showed Ms Inch was never actually endorsed. Ms Inch it should be stated, remains popular with many RULE members regardless. The Tattler got the false information for the story from two RULE members who's memories were inaccurate. We apologize for the mistake and have corrected the December 6th story. Alameda County Registrar of Voters certified the results of the November 6th elections today, officially confirming the majority takeover of the Emery School Board by the Emeryville resident advocacy group Residents United for a Livable Emeryville. 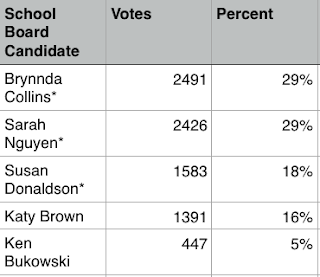 The election of RULE School Board candidates Brynnda Collins, Sarah Nguyen and Susan Donaldson on November 6th makes RULE endorsed Board members now a majority. 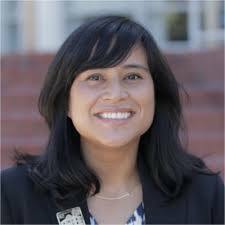 On the City Council front, RULE candidate and incumbent Dianne Martinez sailed to victory with 49% of the total vote; the largest in modern Emeryville history with 3182 votes, representing the largest number of votes ever garnered by a candidate for elective office in Emeryville history. The historic election cements RULE's power in Emeryville with a popular total RULE backed City Council and now a new super majority RULE backed power base at the School District. In 2016, RULE crushed the election with the sweep of it's candidates John Bauters, Ally Medina and Christian Patz, shutting down the anti-RULE business backed contenders and turned the previous simple majority into a five for five 'RULE bloc' totality on the Council. 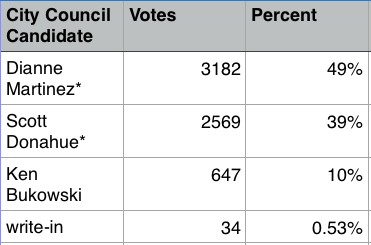 This November's election RULE sweep notably makes the seat of existing School Board member Cruz Vargas the last lonely holdout for the anti-RULE minority in all of Emeryville. Equally unparalleled in Emeryville history is the fact that RULE has never missed even one call. Every single candidate or ballot initiative measure (like last June's Measure C the affordable housing bond) RULE has endorsed has passed; a remarkable perfect record dating back to RULE's inception and the election of Councilwoman Jennifer West in 2009 who handily beat her contenders (anybody remember Frank Flores for City Council?). Anyone considering running in two years for the seat now occupied by School Board member Cruz Vargas might want to take to heart the last ten years in Emeryville election history. NOTE TO READERS: This story originally contained an inaccuracy and the Tattler issued a retraction on December 8th. The retraction can be viewed HERE.